Dealing with disappointment is a fact of life. Knowing how to effectively react to disappointments is what will determine if you are a successful person or simply a victim. Whether it’s that you didn’t get the job promotion you wanted or that someone didn’t come through for you, at various times in your life you're going to feel disappointment with how something turned out. You're not alone with this. Every single person on this planet faces challenges at various times. 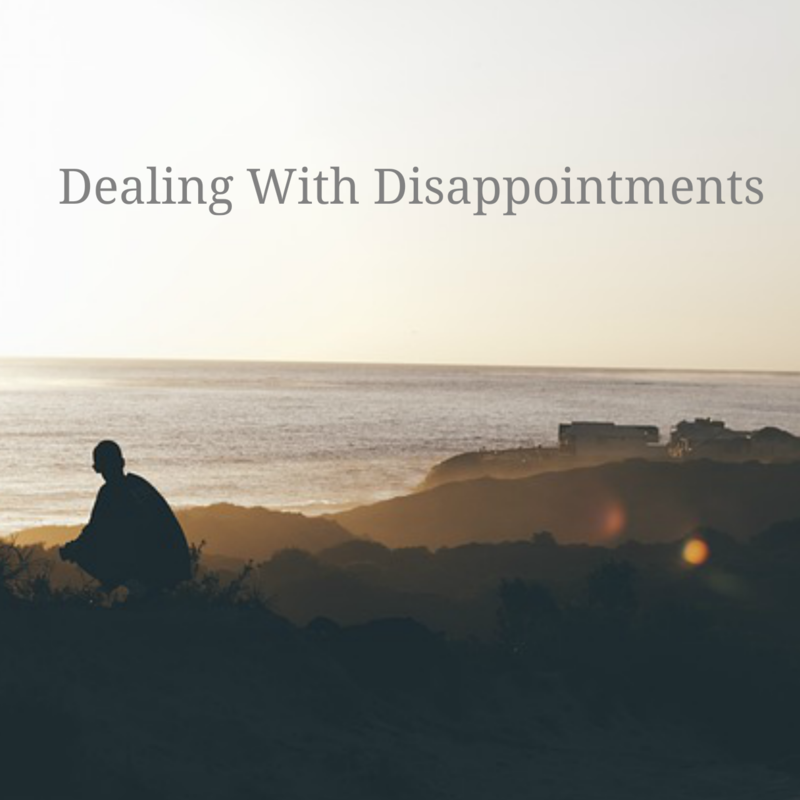 So, let's take a closer look at disappointments and how we can turn disappointments into something more positive. 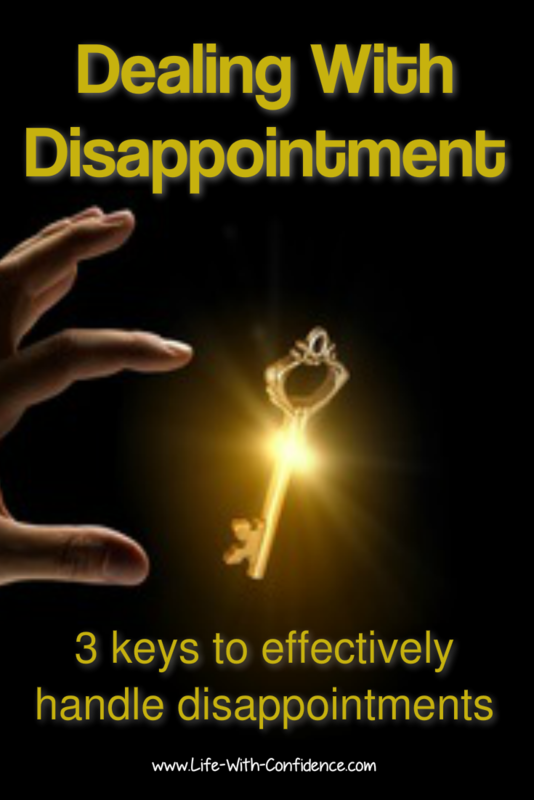 There's 3 keys to effectively reacting to a disappointment. How do you normally react? First, the next time you face a disappointment, pay attention to how you react. - Do you get mad? “I’m not good enough for a promotion”? - Do you blame other people, "It's their fault. They should have..."
- Do you instantly think it's because you're unlucky or nothing ever works for you? or just to get you away from your current co-workers? The one other thing to ask yourself is did you apply for the job simply because it was available? It’s easy to get caught up in reacting to events when they appear. It’s important to be able to judge opportunities as to whether they'll lead you in the direction you really want to go or if they’re interesting but ultimately a distraction. 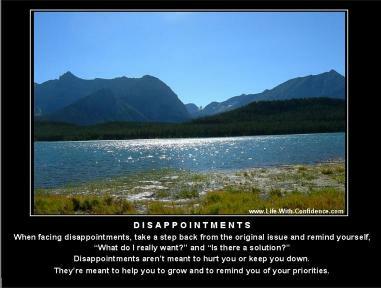 Dealing with disappointment is meant to help you grow and to remind you of your priorities. Sometimes it can even stop you from going down the wrong path because you take the time to remind yourself of where your priorities really lie. I remember not getting a job I really wanted. I'd been to two interviews and I really thought I was going to be offered the job. I was hugely disappointed when they told me they'd chosen someone else. It was valuable experience though for a few reasons. The first was that it'd gotten me to update my resume and portfolio. I also got practice with going to interviews again. The biggest benefit though was that it really made me think about the job I wanted and gave me a better idea of which companies I needed to target. 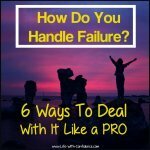 The icing on the cake with this situation was that about six months later the company I interviewed with actually declared bankruptcy. I had no way of knowing they were in financial difficulty at the time so looking back, I am so, so glad I didn’t get that job. I did eventually get a much better job as well with a company I really liked. It was definitely worth going through the initial disappointment in order to get something that was much better later. 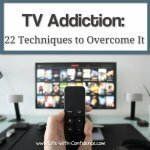 What are you concentrating on; the disappointment or figuring out a solution to the problem? This may seem like a really simple thing but by doing this you’ll see a huge difference in your confidence levels. You'll be able to see opportunities in disappointments instead of feeling like you should give up. You’ll also have an increased sense of satisfaction with your life. And, the real beauty of this is it’s entirely your choice as to what you choose to focus on. 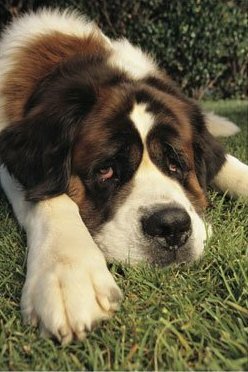 Want Even More Details On How To Deal With Disappointments? Learning how to use disappointments to your advantage is just one way to master your thoughts. 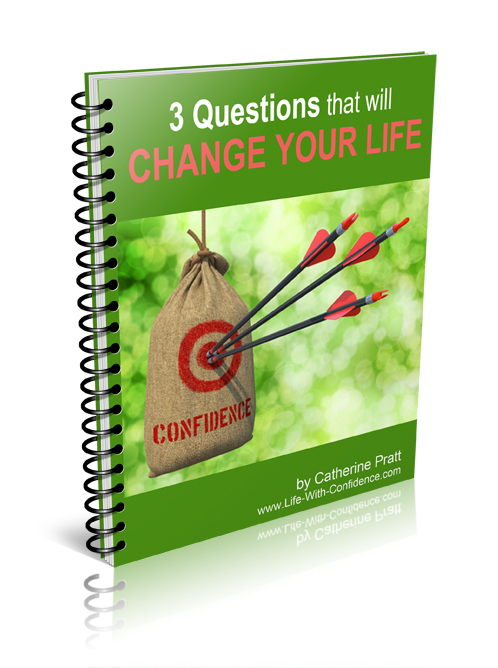 Purchase a copy of the ebook, "3 Questions That Will Change Your Life" to discover other quick yet dramatic changes you can make to your life simply by choosing how to look at the events that occur in your life. 70 pages. Format: pdf file, ebook only. For more information, click here.